Sleep deprivation isn’t the only thing pumping out your energy. Common things you do or don’t do can contribute to exhaustion both mentally and physically, which can make getting through your day a chore. Experts reveal most common bad habits that can make you feel tired, plus simple lifestyle tweaks that will make you feel revitalized. The fatigue is caused by the lack of red blood cells, which bring oxygen from your lungs to your tissues and cells. You may feel weak and short of breath. The main causes of anemia are the iron or vitamin deficiency, blood loss, internal bleeding, or a chronic disease such as, or kidney failure. Main symptoms are: extreme weakness, difficulty sleeping, lack of concentration, rapid heartbeat, chest pains, and headache. Chronic fatigue syndrome is a disabling tiredness that lasts for at least six months. There are usually other symptoms, such as a sore throat, muscle or joint pain and headache. 3. The more energy you put in, the more you get out. It probably seems counter intuitive, but exercising helpful biochemicals that ward off fatigue and assists you in feel upbeat the rest of the time. This means that that you have too little thyroid hormone (thyroxine) in your body. This makes you feel tired. You’re also likely to put on weight and have aching muscles. It’s most common in women, and it happens more often as you get older. More than 1 million people are diagnosed with type 2 diabetes every year, but many more may not even know they have it. Glucose, is the fuel that keeps your body active. And that means trouble for people with type 2 diabetes who can’t use glucose properly, causing it to build up in the blood. 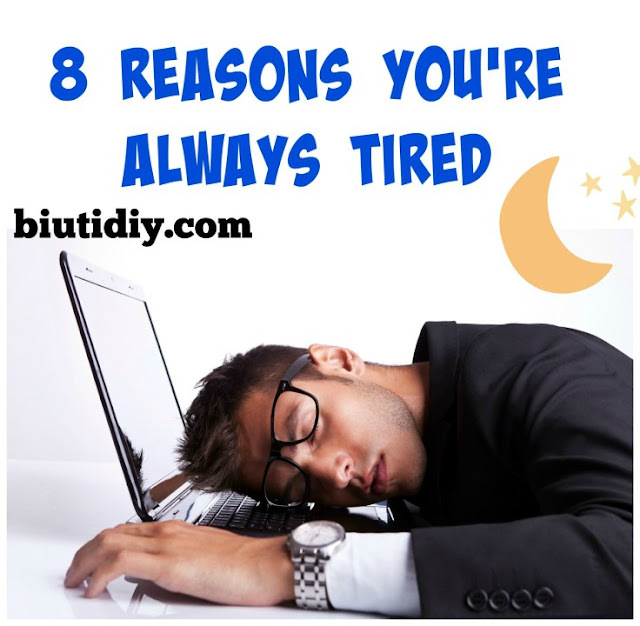 Too little shut-eye, having an irregular sleeping pattern or even sleeping too much can also make you feel tired. To get back on the right track, try to get into a routine of sleeping at established times while only getting as much sleep as you really need. Some people have constant anxiety, which is so strong they affect their daily life. Doctors call this generalised anxiety disorder (GAD). It affects around around one in 20 people in the UK. As well as feeling worried and irritable, people with GAD often feel tired. Obesity can cause sleep apnea, which is horribly disruptive to your sleep. Researchers found say that individuals who suffer from sleep apnea can experience pauses in their breathing dozens of times in a single night. Sleep apnea can also potentially result in heart problems. If you are concerned about sleep apnea, be sure to speak with your doctor.